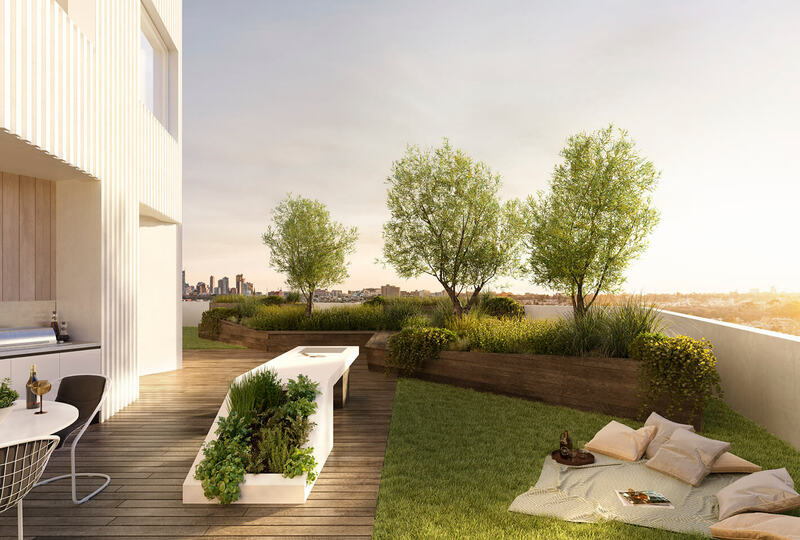 Patch Apartments, perfectly positioned in North Fitzroy, offers classic inner northside living with a modern twist. The new development is soon to be the tallest building in the suburb, a blueprint for the future of boutique Melbourne living – and construction is already underway. Patch Apartments by renowned developer Goldfields consists of 83 residences in total, with one, two and three bedroom designs available. 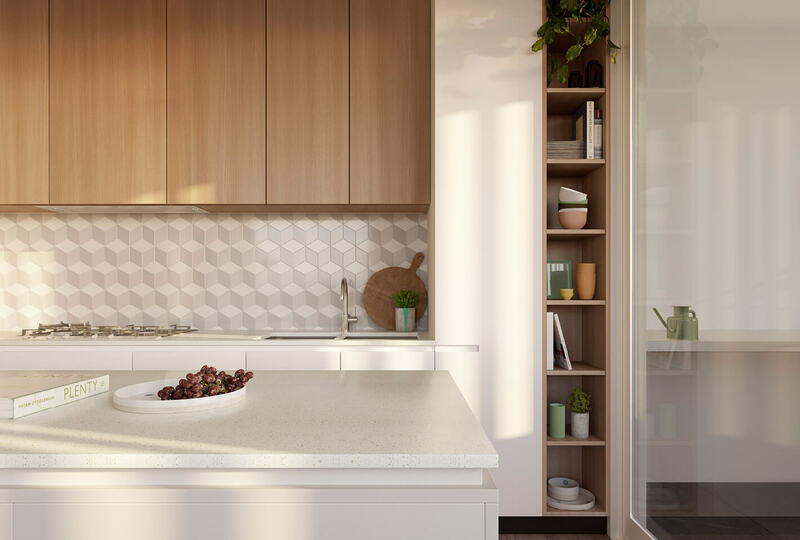 Soaring 11 levels high from Queens Parade, the development offers beautiful views expanding across Melbourne’s city skyline, the Dandenong Ranges and North Fitzroy. Responsible for the stunning architecture and design is the team at Fieldwork Projects, including the development’s spokesperson Quino Holland. The top three levels of the building are reserved for the premium collection of three bedroom apartments called Raines Residences. In these luxurious spaces, dramatic interplay of texture, tone and light creates individual homes of distinction. 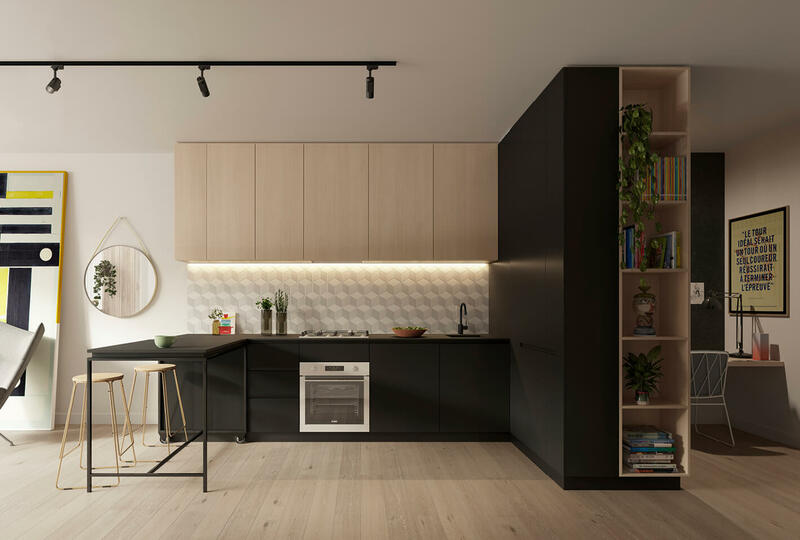 Patch Apartment interiors are characterised by a warmth and homeliness borrowed from Scandinavian design, where white walls meet timber flooring in a classic pairing. The minimalist approach throughout offers a clean aesthetic, either to be appreciated as is or to be stylishly built upon. Buyers will be given the choice between two distinct colour schemes – a neutral palette or monochromatic charcoal. The first offers a classic light and bright approach, defined by subtle timber highlights and natural colours. The second exudes modernism, with dark kitchen cabinetry creating high-contrast visual appeal. 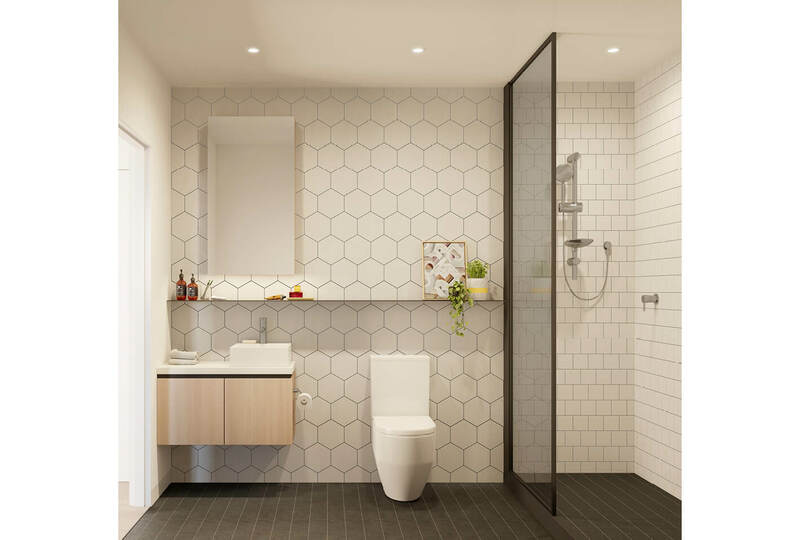 In each case, the apartment will benefit from generous shelving and built-in storage, premium European ASKO appliances, and interesting features such as tile patterns in the bathroom and kitchen. Patch Apartments also includes incredible shared facilities. The communal space on level 8, a design collaboration by landscape architects Tract and design studio Urban Commons, is a tree-dotted deck that includes indoor and outdoor dining areas and a kitchen that’s perfect for entertaining. The stunning interiors and great amenity are just half of the attraction when considering Patch Apartments as your new home or your next investment. The other half is the location, which adds huge value. 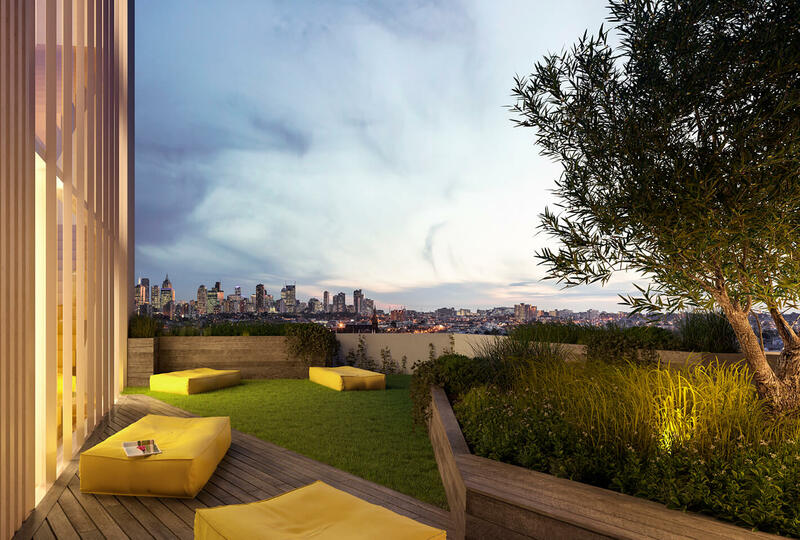 In fact, North Fitzroy was recently classed as one of the top three most in-demand suburbs for apartment renters, according to a report by the Chief Economist at realestate.com.au. 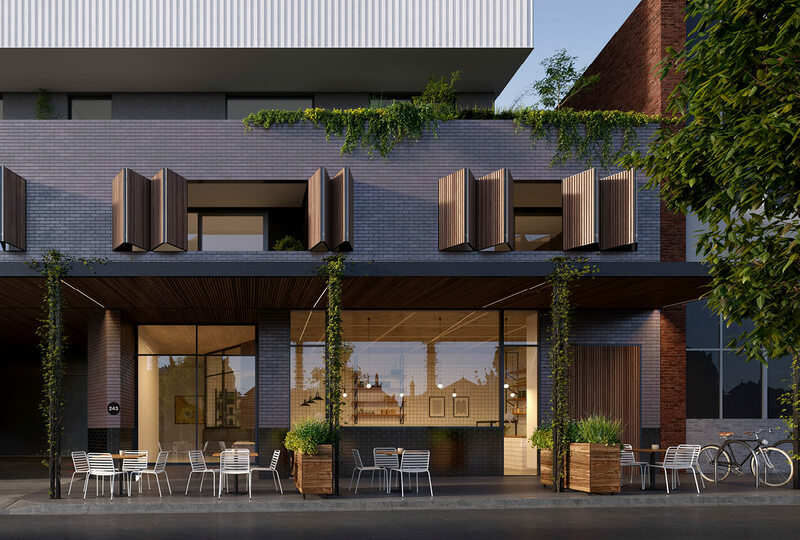 Living in one of Melbourne’s most coveted postcodes, just near the Merri Creek bike trail, you’ll have a vibrant mix of shops, cafés, restaurants, and parks just moments from your apartment. And with excellent connectivity, thanks to nearby train stations and tram stops, this is the perfect place to call home. One bedroom apartments start from $419,000, and two bedroom apartments start from $674,000. Most apartments have access to a car space, a basement storage cage and bike storage. For more information or to enquire about Patch Apartments, click here.